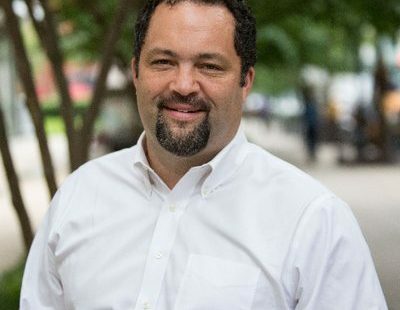 BALTIMORE- Former NAACP president Ben Jealous has thrown his hat into the Maryland Democratic gubernatorial primary. “We can grow our state, create opportunity, invest in our future, and leave a better future for our children,” Jealous told supporters at a Baltimore rally on Wednesday. Jealous, 44, led the nation’s premier civil rights organization from 2008 to 2013. The following year he became a senior partner at the California-based investment firm Kapor Capital. Jealous is a vocal proponent of criminal justice reform and has often spoken out against policing policies many believe disproportionately target minority communities. Jealous opposes capital punishment and during his tenure as NAACP president he was party to efforts that led to the abolition of the death penalty in both Maryland and Connecticut. Jealous during the 2016 Presidential Election season was a strong supporter of Sen. Bernie Sanders (I-Vt.) and was often seen on the campaign trail alongside Sanders. Following Sanders’ defeat to Hillary Clinton Jealous threw his support behind the former Secretary of State. Jealous has been extremely critical of President Donald Trump and has at times lashed out at Maryland Governor Larry Hogan (R) for not having taken a sufficiently strong stance against some of the Administration’s more controversial policies. Following President Trump’s Thursday announcement that the U.S. will withdraw from the Paris Climate Agreement, Jealous slammed Hogan for not having weighed into the fray. “In the days leading up to today’s action by President Trump, Governor Hogan was nowhere to be seen. Rather than leading the effort to protect the Chesapeake Bay and Maryland’s other amazing natural resources, Hogan was nowhere to be found,” Jealous said in a campaign statement. But Jealous faces an uphill battle in his bid to win the Governor’s Mansion. Hogan boasts a 65 percent approval rating in a state where Democrats outnumber Republicans 2-1. And Jealous’ primary opponents may include more seasoned politicos such as former state Attorney General Doug Gansler, Prince Georges County Executive Rushern L. Baker III, Baltimore County Executive Kevin Kamenetz and Congressman John Delaney.